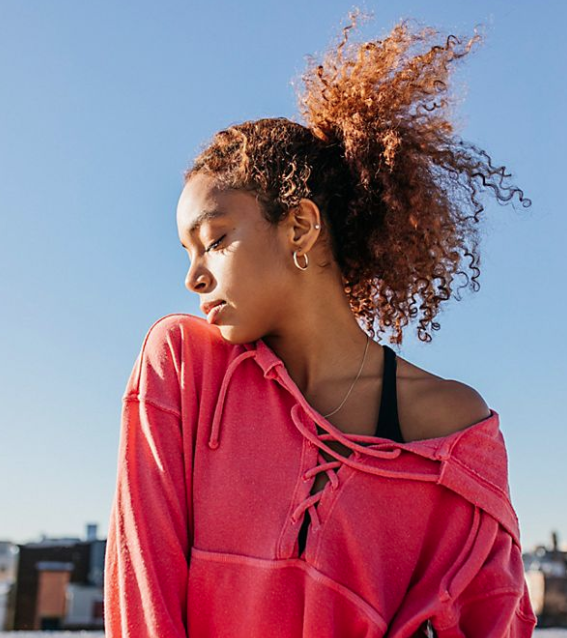 This week’s new moon in Aries represents your annual personal reinvention, and its alignment with Uranus implies that you’re itching for a change. 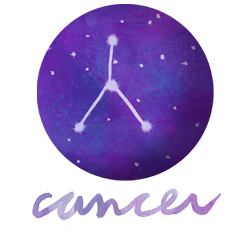 The moon is jousting with Pluto in your ambition angle, so you might be rebelling against a boss, parent, system or career path that you’ve been compelled to follow. 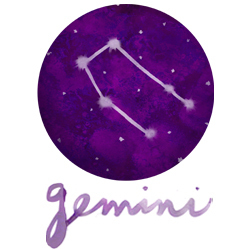 And its disagreement with Jupiter hints that you still need to carry out your current responsibilities even if you’re intent on taking a big leap forward. A moon-Saturn collaboration supports your growth, encouraging you to prepare for the future that you want by learning as much as you can and getting a firm grasp of the big picture. You need to concretize your vision in order to make your dreams a reality. The sun’s fight with Pluto suggests you might clash with an authority figure if you can’t put your ego aside. 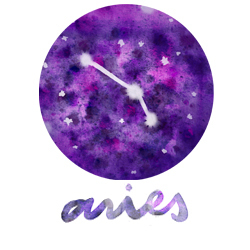 But Venus’s arrival in Aries will help you exude amiability, charm, warmth and beauty. Venus sneaks into your solitude sector this week, which could make you feel less social for the rest of the month. This phase is suited to letting go of old loves, taking care of someone you love or being private about your love life. 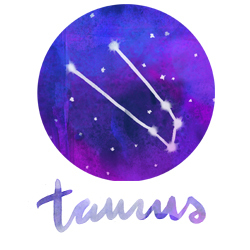 With Mercury entering Taurus, you’ll still be inclined to stay in touch with people and express yourself. In the next few weeks, you’ll be able to reflect on personal matters with objectivity and get your point across. The new moon in the last house of your chart coaxes you to start a new spiritual practice, spend quiet time alone to recharge your battery, delve into your psyche and work through any issues that are hindering your progress and preventing you from having peace of mind. This is a time for reviewing the past and soul-searching with a purpose. 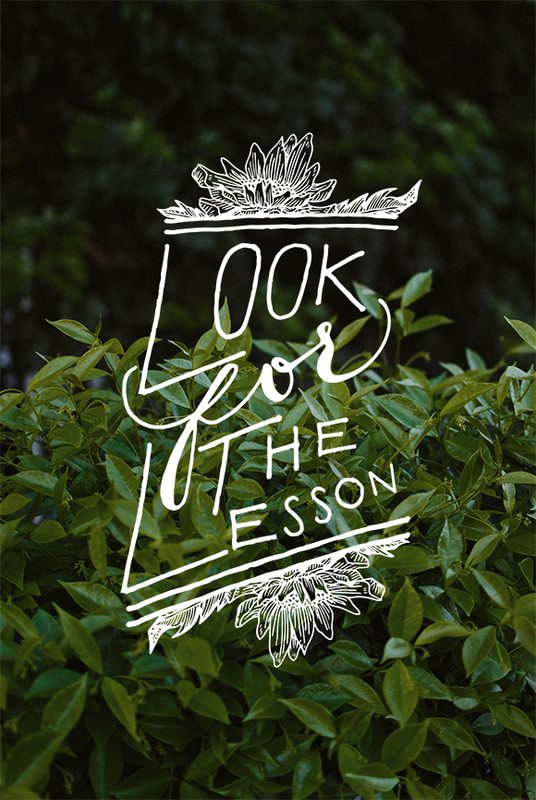 Looking back may trigger a crisis of faith, but look for the lesson and release regrets. With Mercury ducking into your spirit house this week, intuition, imagination and reflection will be highlighted in the coming weeks. Venus’s arrival in your network zone favors socializing, professional networking and group activities. The new moon there is aligned with change-loving Uranus, prompting you to make a new friend or business contact, join an organization or strengthen your ties to one, reach out to people who share your interests and objectives or set a humanitarian goal. Since the moon is sparring with Jupiter in your security angle, doing these things may require you to step outside your comfort zone. And the moon’s fight with Pluto suggests closeness with others may sometimes feel like a weight to you, and power struggles could be an issue. 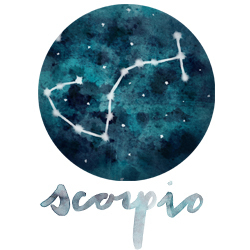 But the moon is vibing with Saturn in your partnership sector, reinforcing the fact that relationships are hard work and you need to truly invest in them in order for them to pay off. A new moon at the top of your chart this week nudges you to set a new goal, create a business plan or improve your public or professional image. A promotion or another positive career development may be coming, and if it does, you’ll want to be prepared to put your best foot forward. The moon’s spat with Jupiter in your mindset zone warns you not to think so big that you get ahead of yourself, while its feud with Pluto in your one-on-one angle suggests that you may be jockeying for position with someone, or your ambition could come into conflict with a relationship. But the moon is collaborating with Saturn in your duties sector, so your hard work will provide a solid foundation for your success. And with Venus also ascending to the top of your chart, you’ll be able to make a favorable impression on higher-ups and do creative work in the coming weeks. A new moon arrives in your expansion sector this week, inspiring you to venture beyond the confines of your regular routine and your current perspective. It’s time to explore different beliefs, places, ways of life and areas of study in an effort to gain a greater understanding of life and the world outside your everyday existence. Learning, travel and unfamiliar experiences are apt to bring insights and help you to formulate a more growth-oriented philosophy. The moon’s squabbles with Jupiter and Pluto imply that your resources and workload, daily duties or health may be obstacles that you’ll need to overcome. Fortunately, the moon is meshing with Saturn, so the fact that you’re taking your personal development seriously lately will sustain your quest. And with Venus also entering your expansion sector, exposing yourself to a wider variety of people and cultures is bound to increase your awareness and foster your growth. Changing your mind is a good thing. This week’s new moon in your depth corner is forming an awkward angle with Jupiter in your sign, so you may need to make an adjustment in order to accommodate both your personal growth and a significant relationship. The moon is also skirmishing with Pluto in your romance-and-joy house, underscoring that the intensity of a love affair and the complexities of real intimacy don’t always dovetail. But the moon’s connection with Saturn in your foundation angle suggests that sharing, closeness, healing, transformation and empowerment will be supported by your efforts to take responsibility for your emotions, take care of yourself, come to terms with your past and understand your patterns. A sexual relationship or flexible interdependence will be liberating now. With Venus entering your depth corner as well, you’re craving closeness and emotional support, while Mercury’s arrival in your exploration zone turns your attention to learning, travel and philosophizing in the coming weeks. 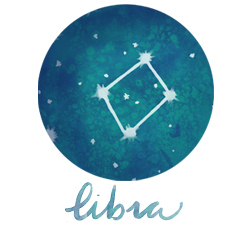 Venus crosses your relationship angle this week, facilitating mutual attraction, connecting one-on-one, compromising, making peace, establishing a pleasant rapport and expressing fondness — all very Libran matters. And the new moon also lands there, hinting at a new relationship or a current one moving to the next level. Since the moon is joined with Uranus, such a development could happen rather suddenly and unpredictably. The moon’s disagreement with Jupiter in your subliminal sector suggests that unconscious expectations may not align perfectly with whatever is unfolding, while the moon’s battle with Pluto in your foundation zone implies that childhood, domestic or family issues or troubling emotions could come into conflict with relationship development as well. 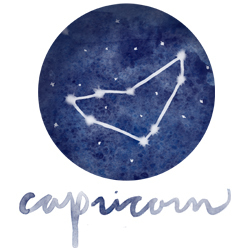 But the moon is gelling with Saturn in your thinking-and-talking house, so understanding the way you think, maintaining a measured mindset and communicating with consideration and maturity will help. As Mercury moves into your sharing corner, introspection, deep conversations and confiding secrets will be highlighted. A new moon in your efficiency house this week prompts you to polish your skills; change your schedule or routine; start a good habit or a new fitness regimen; improve your diet; take charge of your health; look for a different job; organize your workspace; or try a new approach to a problem. The moon is aligned with Uranus, so such changes are apt to be liberating and rapid. But the moon is also feuding with Pluto in your mindset zone, suggesting that your strong will may be working against you rather than for you, and perhaps you’ll need to get your own brain on board. A collaboration between the moon and Saturn in your worth corner implies that you have what’s required to make these changes, and using your resources somewhat conservatively should work in your favor. With Mercury crossing your relationship angle, keep the lines of communication open and consult others in the coming weeks. This week’s new moon lands in your fulfillment zone, encouraging you to express your personality, get in touch with your inner child, have more fun and pursue love. You might launch a creative project, start dating more, begin a romantic relationship, find a new hobby or discover a new source of pleasure or passion that feels like an extension of you. The moon is clicking with Saturn in Sagittarius, so your more serious attitude of late and the work you’ve been doing on yourself can feed into this pursuit of happiness. 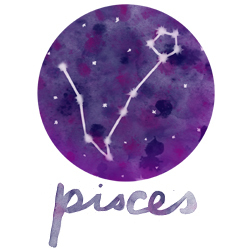 The moon’s clashes with Jupiter and Pluto imply that your professional aspirations and financial concerns may conflict with such a pursuit and will need to be taken into consideration. Venus is moving into this house as well now, further emphasizing the need to enjoy life. Meanwhile, Mercury’s arrival in your efficiency sector will lure part of your attention to mental work, details, planning and problem solving. Venus dips down to the bottom of your chart this week, coaxing you to appreciate peace and quiet and possibly putting you in the mood to do some redecorating. The new moon in that house hints at a change connected with your family or a change in your living situation such as a move or renovation. Consider what makes you feel comfortable and secure and how you can get better at providing that for yourself. Also examine your underlying emotional state and your feelings about childhood. What can you do to move forward and build inner strength? The moon’s feud with Pluto in Capricorn suggests your strong will or control issues could get in the way. 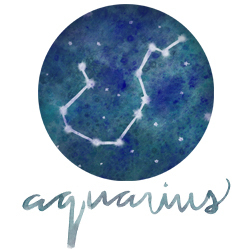 But its link with Uranus and alliance with Saturn in the last house of your chart mean that change will free something inside you, and a determination to gain closure and prepare yourself for a fresh start will work in your favor. 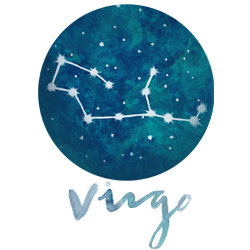 With Venus entering the house in your chart that’s associated with thinking, talking, siblings and community this week, you’re encouraged to look on the bright side, appreciate the warmth in your interactions and the beauty in your surroundings and socialize with brothers, sisters and neighbors. The new moon in that house invites you to ask questions, gather information, make a decision, take a short trip, improve your community, try a new way of looking at something and change how you communicate. The moon’s link with Uranus hints at insights, revelations, new ideas and sudden busyness or awareness. Pluto in your subliminal sector is challenging the moon, so whatever has been buried in your psyche could cause turbulence and affect your impetus to think differently, connect with people and learn. But the moon’s connection with Saturn implies that you’re able to express yourself with friends or colleagues and also gain knowledge from them—and teamwork should go well. A new moon in your worth zone this week prompts you to create a budget, seek an additional source of income, foster a talent that can bring financial rewards, indulge your senses, bolster your self-esteem and get clear on your personal values and priorities. Material needs are highlighted now, and given the moon’s proximity to Uranus, you should probably guard against impulse spending. Try not to place too much emphasis on what you can expect from someone close to you, as this lunation is more about self-sufficiency. The moon’s feud with Pluto in your network house suggests that shifting goals can impact your finances, or your priorities may conflict with friendship in some way. 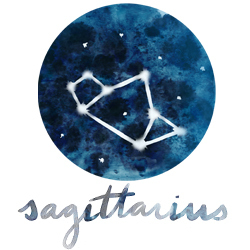 But the moon is in sync with Saturn in your ambition angle, confirming the connection between hard-earned success and stronger finances and confidence. Meeting your own needs and shoring up your security depend on your determination to take on responsibilities and make your mark.